There’s no shortage of luxury anything in Hong Kong. It’s a place where Bentleys and Rolls Royces sit in traffic next to Ferraris and Lamborghinis. Multiple outlets of Cartier, Prada, Gucci and every other major luxury brands dot the city. Hong Kong has plenty of fine dining options, boasting 62 Michelin-starred restaurants, second only to Paris. Thus, it should come as no surprise that over 20 five-star hotels also exist in the city. With so many luxury choices, how does one choose? 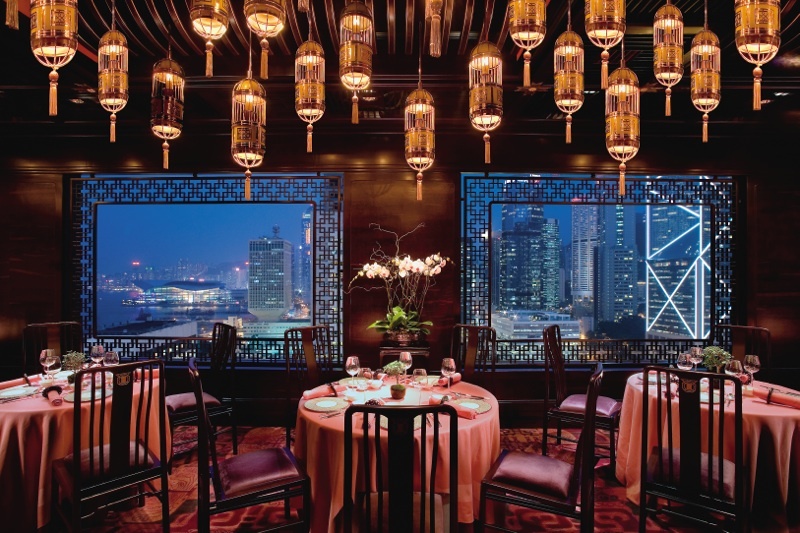 Located in the Central district overlooking Victoria Harbour, the Hong Kong-Mandarin Oriental celebrated its 50th anniversary in 2013, solidifying the storied hotel as a perennial five-star favorite. Decorated in a contemporary style with a nod to its Oriental legacy, the Mandarin Oriental’s 501 rooms and suites serve as a refuge in the bustling city. Linen sheets, Hermes bath products and a pillow menu are lovely, but room extras like the pass-through valet boxes are a novel and practical touch for guests who require the upmost privacy. 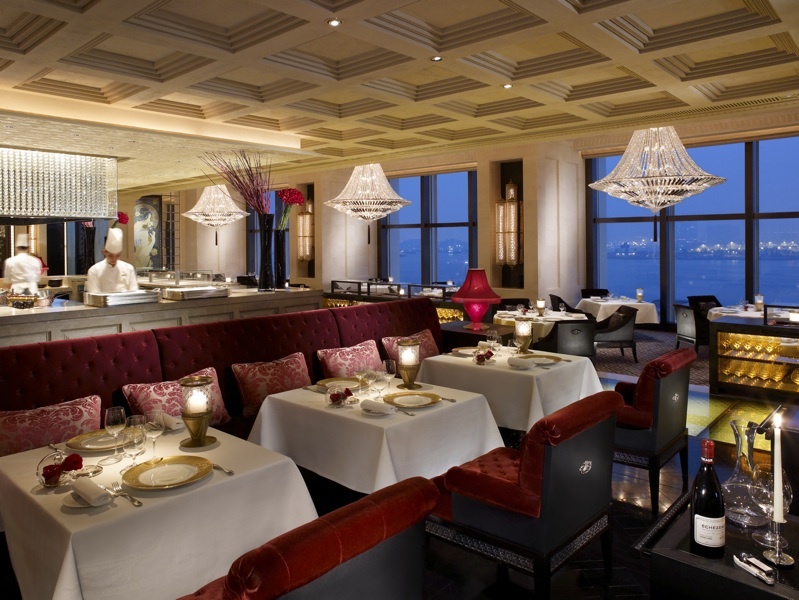 Not just a hotel, the Mandarin Oriental is a culinary destination for visitors and locals alike. Ten restaurants and bars are located in the hotel, including Michelin-starred restaurants, Pierre, Mandarin Grill + Bar and Man Wah. The Krug Room, created in conjunction with Krug Champagne, was designed with a train carriage in mind, giving diners an intimate experience. There is no menu. Instead, the 10-14 courses are created by chef Uwe Opocensky and paired with Krug Champagne, the largest collection outside of France. The Captain’s Bar is a must for its inviting atmosphere and the unique collection of engraved silver tankards—regulars eventually are gifted their own, which is then kept in the bar for future visits. The Chinnery, a classic British-style pub, didn’t allow women to enter until 1990 and boasts over 120 types of whiskey. Both male and female spa devotees will find bliss at the Spa of the Orient. With a design that harkens back to 1930s Shanghai, the spa features eight treatment rooms, an indoor pool, tea lounge and Hong Kong’s first Kneipp pool, which stimulates the feet and lower legs with pebbles. Therapists specialize in ancient Chinese techniques and offer Traditional Chinese Medicine consultations. The Mandarin Salon tends to ladies’ coifs and also offers the world-famous Shanghainese Pedicure by Samuel So. Gentlemen are attended to in the Mandarin Barber. In traditional barber’s chairs, clients indulge in straightedge shaves and haircuts, while massages, waxing and facials are performed in private treatment rooms for the upmost discretion. 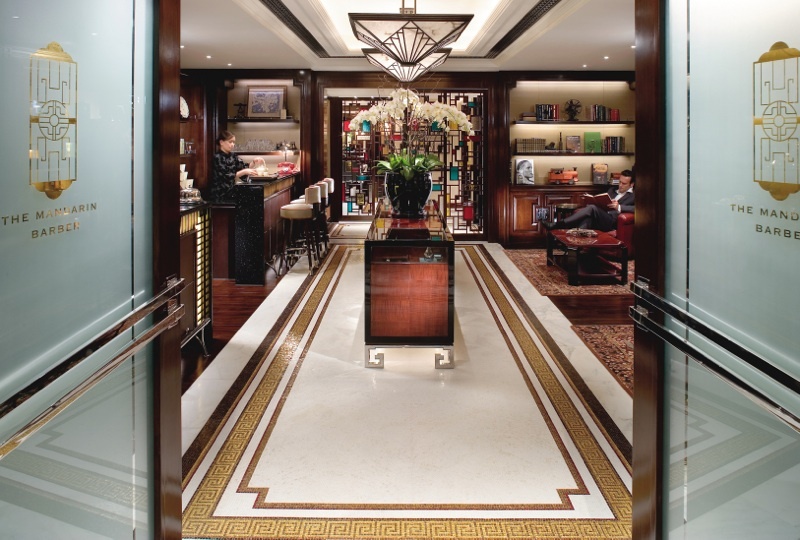 Given the hotel’s proximity to the city’s most popular destinations, impeccable service and recent $140 million room-by-room makeover, the flagship Mandarin Oriental will continue serving discerning tastes in Hong Kong for years to come. Though not the biggest or most well known hotel in Hong Kong, The Luxe Manor is certainly the most unique. A member of Small Luxury Hotels of the World, The Luxe Manor is kooky in the best kind of way. 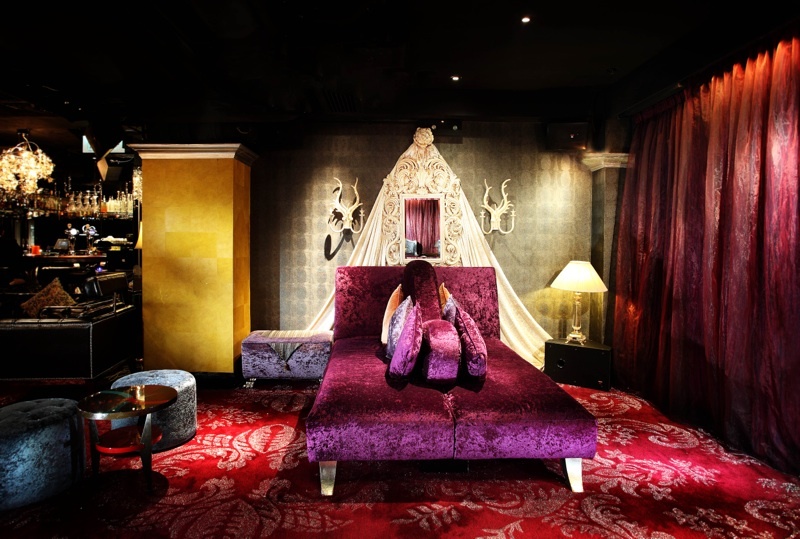 Winning several design awards, the hotel is Alice in Wonderland meets Salvador Dali. Located in the Tsim Sha Tsui district on the island of Kowloon, The Luxe Manor keeps with the vibe of the bustling shopping and dining area. A bold palate of red and black, along with a mix of classical and whimsical décor, greet guests in the lobby. Eyes dart from the mosaics on the floor to the damask mirrored walls to the Merino glass chandeliers. The imaginative design feels like a scene from a Tim Burton film. Delightful are the standard rooms, but it’s the six uniquely themed suites that are exceptional. They’re for the guests who like their luxury with a lot of personality. The Nordic suite is decorated in a palate of white and light blue, with mirrored and acrylic furniture that mimics the look of ice. Four door handles and only one that works is just one of the eccentric design elements of the Mirage suite. Apply named, nothing is quite what it seems. The Royale suite is perfect for the would-be rock star. 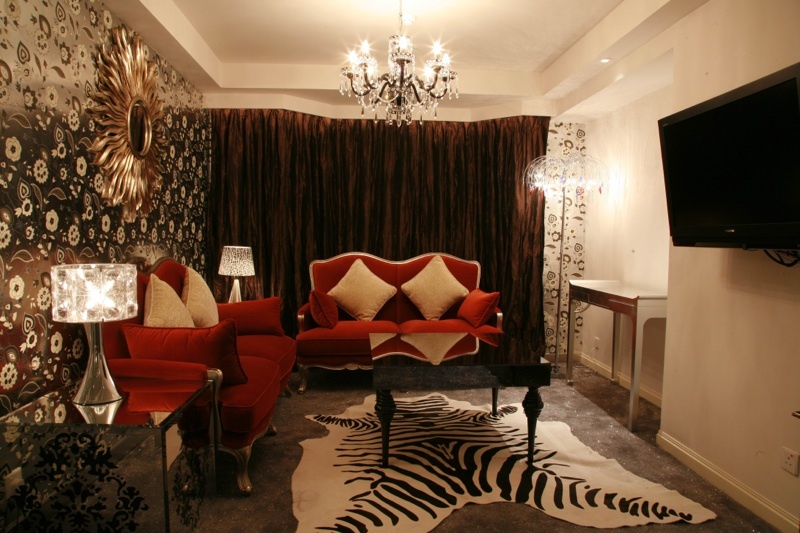 Decorating with glittered carpets, red velvet sofas and zebra print rugs requires gumption, and The Luxe Manor certainly has that. Located in the hotel, FINDS, is the only Scandinavian restaurant in Hong Kong. For a bit from each of the five countries, request chef Jaakko Sorsa’s Nordic Express Menu. It’s a 2.5-hour gastronomic journey complete with a custom-made map of the region, table setting from Finnish brand, Iittala and stories of chef Jaakko’s Finland home. The pre-fixe meal includes six amuses and six courses inspired by Finland, Iceland, Norway, Denmark and Sweden. After dinner, a drink at Dada is a must for Dali lovers. The surrealist atmosphere will leave patrons feeling as if they’ve been sipping on a bit of mind-altering absinth. In a city filled with luxury options, Four Seasons is among the best. Found in the International Finance Centre, Four Seasons is perched on the doorstep of the best luxury shopping and fine dining in Hong Kong’s Central district. And with numerous world-class companies surrounding the hotel, the lobby serves as the gathering place for the city’s elite. 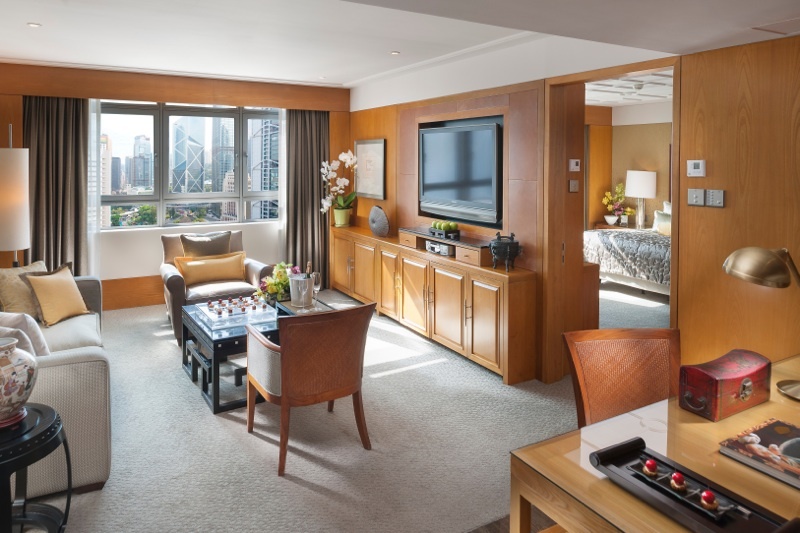 Keeping with Hong Kong’s East meets West moniker, rooms and suites are designed in either a modern Western or contemporary Chinese style and feature wall-to-wall windows that frame views of Victoria Peak, Kowloon or Victoria Harbour. 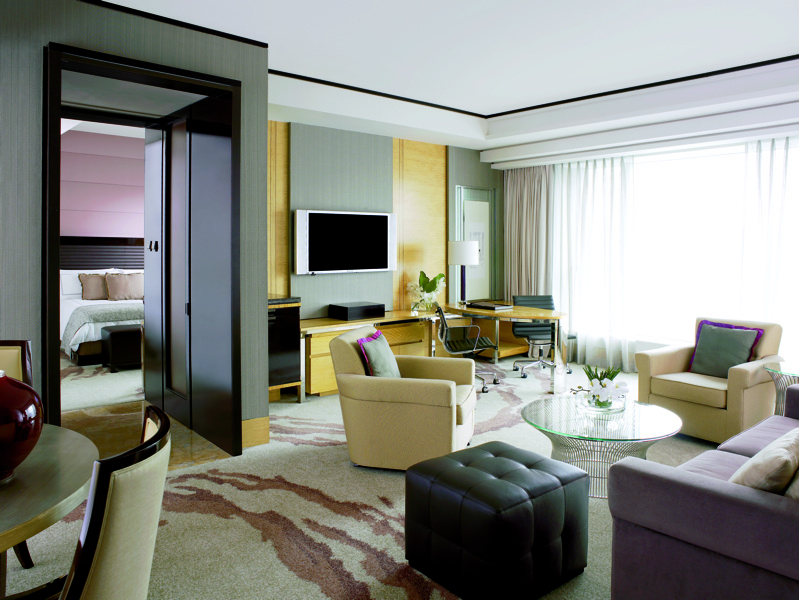 Each of the 399 rooms are well appointed and typically Four Seasons luxury. Epicures will be delighted with the dining choices at Four Seasons. Caprice, a two-star Michelin restaurant, serves contemporary French cuisine with ingredients brought in daily from France. A vast collection of wine from France and other top wine producing regions provides diners with a wealth of options from world-renowned wineries. An impressive menu of artisanal French cheeses is kept in Hong Kong’s first cheese cellar. 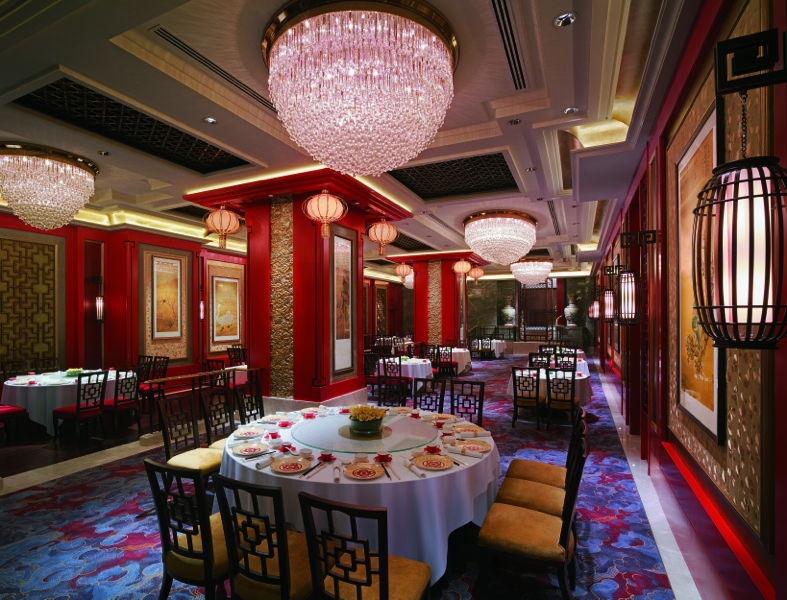 As the first Chinese restaurant to ever be awarded Michelin’s three-star rating, Lung King Heen specializes in authentic Cantonese cuisine, including dim sum and seafood. Chef Chan Yan-Tak is the benchmark for excellent Chinese food not only in Hong Kong, but the world. City hotel pools are often lackluster, but the at Four Seasons Hong Kong that’s far from the case. Sitting atop prime real estate overlooking Victoria Harbour, guests have not one, but four pools to choose from, including an incredible infinity pool that features underwater speakers. Stunning is the only way to describe the Spa at Four Seasons. For the ultimate in indulgence, book the Double Serenity treatment in one of their spa suites. While sipping on Champagne, guests begin with a bubble bath in a marble tub overlooking Victoria Harbor. A full-body scrub is followed by signature Fusion Massage, which incorporates both Swedish and Asian techniques. 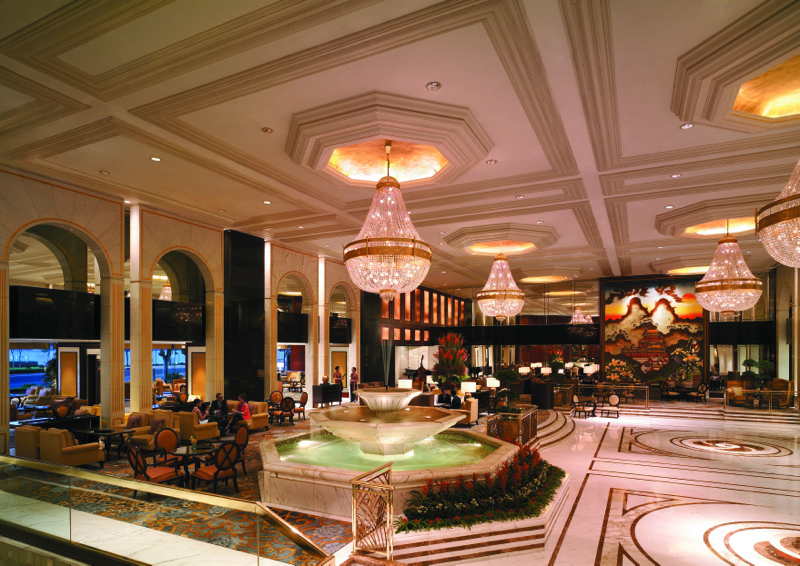 The opulence of the Kowloon Shangri-La is apparent with one glimpse of the lobby. A hotel fit for Midas, gold accentuates everything from the marble floors to the crystal chandeliers that drip from the ceiling. Located on the island of Kowloon, the Shangri-La is ideally located for exploring the shopping and entertainment district of Tsim Sha Tsui East. 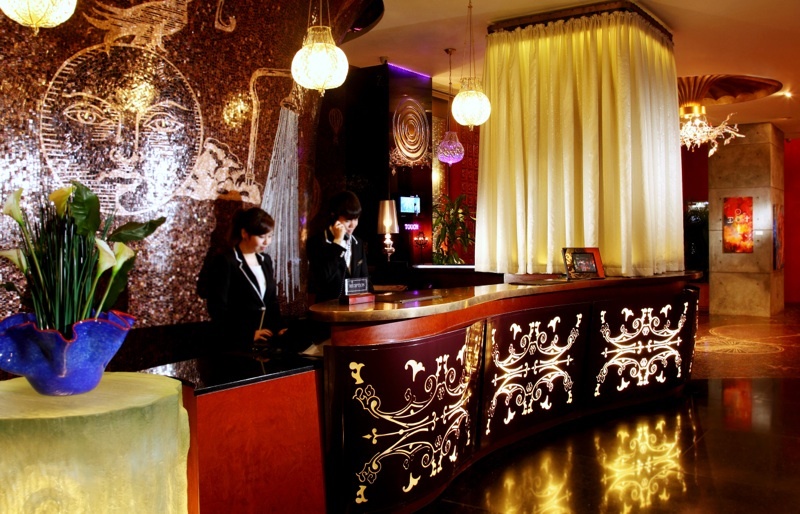 Inviting and exuding energy, the hotel attracts both business and leisure travelers. Perhaps the best view of Hong Kong’s nightly Symphony of Lights show is seen from the comfort of Horizon Club Harbour View Rooms. Floor-to-ceiling bay windows showcase the panoramic views of Hong Kong Island’s skyline, as well as Victoria Harbour. And for a closer look, rooms include binoculars. The accommodations are just as lovely as the view outside. Gold tones and rich wood accents highlight the sophisticated Asian-influenced décor. The personal attention given to Horizon Club guests makes this service worthy of upgrading, as it goes beyond the usual Shangri-La superior service. Some of the perks include private check-in, Club Concierge and hot beverages delivered with wake-up calls. Breakfast, as well as evening cocktails and appetizers, are provided daily in the Horizon Club Lounge. Hong Kong is known as Asia’s world city, thus it comes as no surprise that diners are spoilt for choice at the Shangri-La. At the two-star Michelin restaurant, Shang Palace, chef Mok Kit Keung presents creative and visually appetizing Cantonese dishes in this newly renovated restaurant. Nadaman delivers a variety of sushi, sashimi and inventive Japanese dishes, while Angelini uses seasonal ingredients imported from Italy to create its authentic Italian menu. Hong Kong is where East and West collide. Most every high-end hotel chain has a presence in the city, which is great news for travelers since competition begets continued excellence. 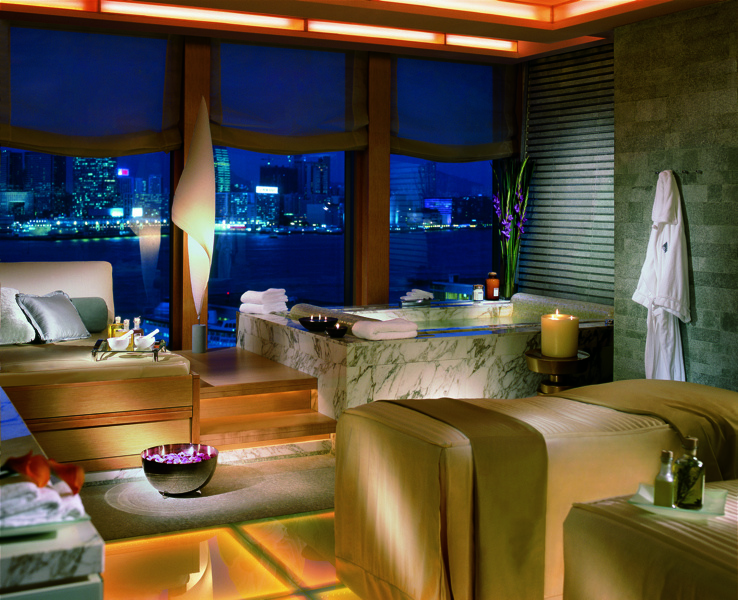 As a result, Hong Kong is home to some of the best hotels in the world. All photos are copyrighted and courtesy of the respective hotels. To read the Luxe Beat Magazine version of this article click on the title Haute Hong Kong Hotels. So pleased to see the Luxe Manor (and a couple of other personal faves) on this list.